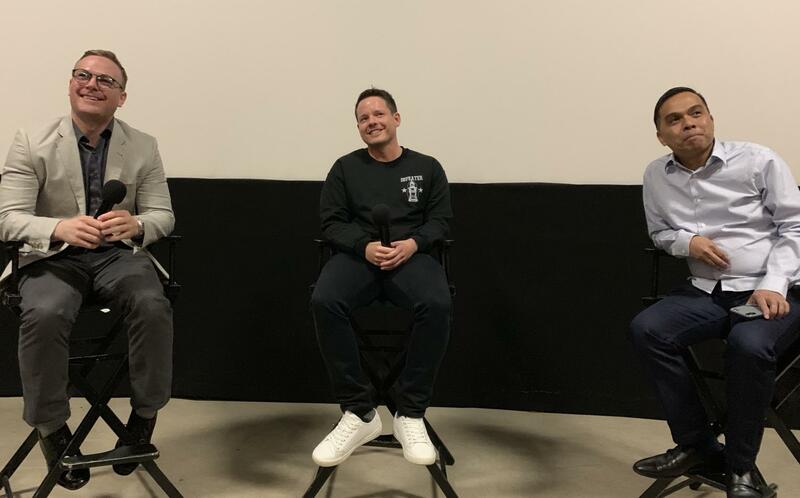 Leading actor Cory Kays, writer and director Joshua Whittaker and executive producer Danny Aguilar, a Coppell resident, answer audience questions prior to the movie premiere of Looking For Andrew at the Angelika Film Center in Dallas on April 3. Looking for Andrew is a film about a group of friends who go on a road trip to find their friend Andrew and on the way they learn about who they are as individuals. DALLAS – On April 3, director Josh Whittaker’s movie Looking for Andrew debuted at Angelika Film Center, and by the end of it, audience members were on the edge of their seats, happily rooting for the nonsensicalness of modern youth. The movie follows three widely different childhood friends who graduate from college only to realize they have been missing one of their friends, Andrew, for a couple of months. They spend their last summer together searching for him before they must go find jobs and begin their adult lives. The film tackles the coming-of-age experience, issues concerning homosexuality and alcohol abuse. The movie’s plot is heavily inspired by Whittaker’s own feelings shortly after finishing college as well. He even plays the role of Andrew, the mysterious objective of the three young men. The movie, although filmed from the east coast all the way to New Orleans and back, was shot in a mere 17 days. The editing process of adding sound, lighting and other technical elements took over a year. The lead role in the film is played by Cory Kays, a rising actor best known for his work in the film Prodigy. In Looking for Andrew, Kays plays Jack, a heartbroken yet charming man, accompanied in this road trip across the country by his perverted friend Lenny (played by Justin Rose), and taco-obsessed friend Ray, (James Rohrbaugh). The film has been selected to be distributed worldwide, an accomplishment that could put Looking for Andrew on streaming platforms such as Netflix and Amazon. 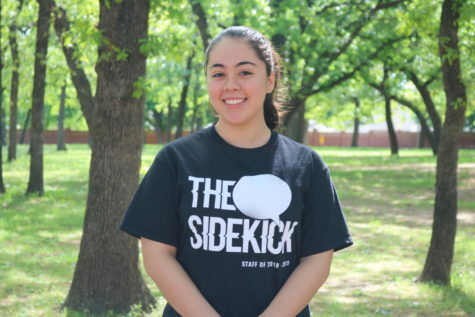 Kays is also involved with Lily Is Here, a movie set to release later this year which was produced by the same executive producer of Looking For Andrew, Danny Aguilar, who was featured in The Sidekick’s February issue for his filmmaking passion. Aguilar’s job is to supervise the process of putting the movie together, ensure the production falls within the budget and distribute it. He does not accompany the crew as they film the movie.